Cats In My Yard promotes TNR: Trap-Neuter-Return, the most effective, humane way to control the feral and stray cat overpopulation. Outdoor cats are trapped in humane traps, brought into Chicago’s low-cost clinics for spay/neuter surgeries, and then the ear-tipped cats are returned back to where they are living in colonies that are fed and cared for. Cats In My Yard has been TNR’ing cats since 2004, and is a registered Colony Caretaker in compliance with the 2007 Cook County Managed Care of Feral Cats Ordinance [07-O-72]. Cats In My Yard shows neighbors how to TNR and care for cats in their own yards. A total of 183 cats were TNR’d within one square mile since 2007. 51 of those cats remain outside here at 20 colony sites where they are fed and sheltered. Outdoor cat population decreased at all of the locations! A total of 177 cats were TNR’d within one square mile since 2007. 59 of those cats remain outside here at 20 colony sites where they are fed and sheltered. 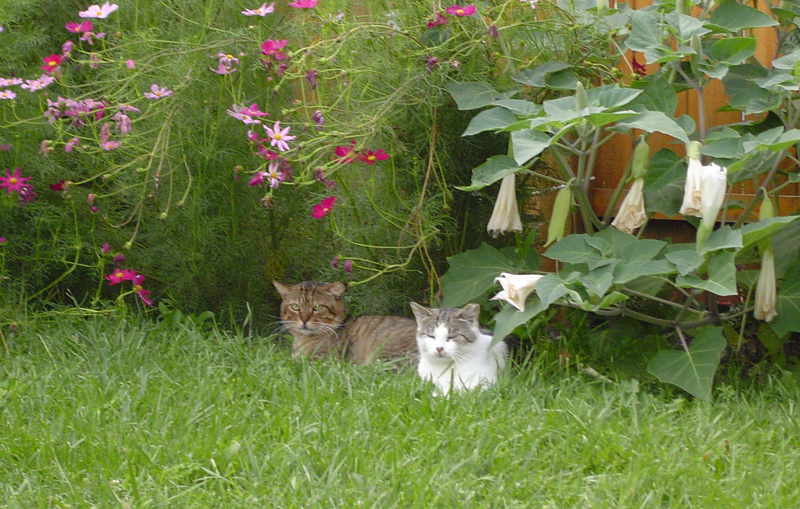 Outdoor cat population decreased at 18 of those locations.